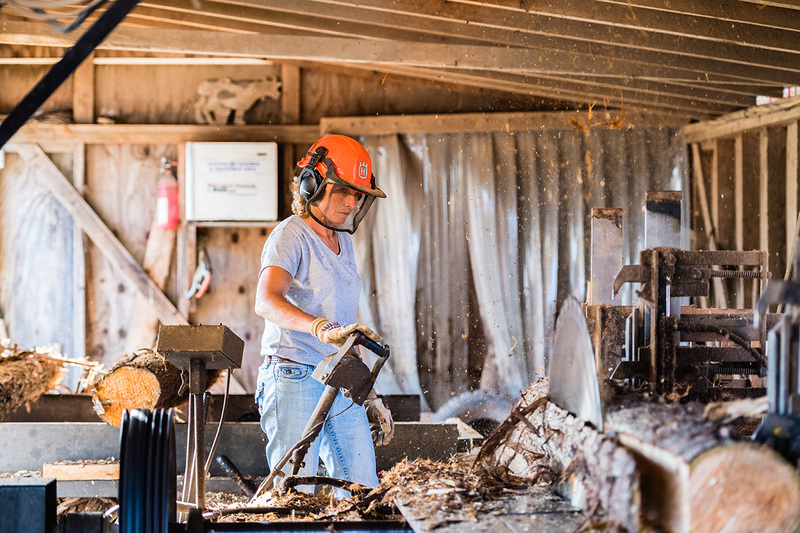 Jamie Henschel working in the sawmill. The Henschel Farm and Sawmill in Carlsville, Door County, WI. Photo by Len Villano.